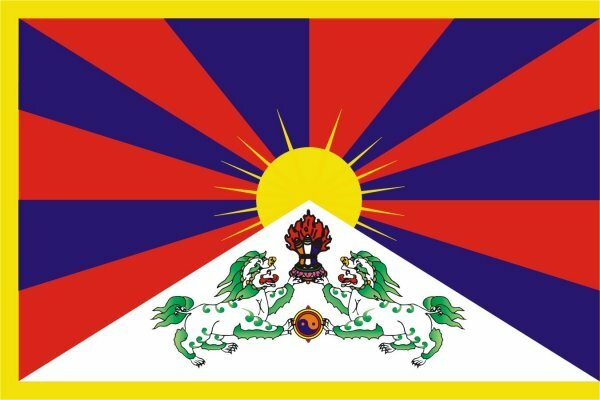 On the occasion of Tibetan Democracy Day, to celebrate the 50th Anniversary of Tibetan Democracy, the International Network for Parliamentarians on Tibet (INPaT) urged the People’s Republic of China “to consider the Memorandum for Genuine Autonomy for the Tibetan People of November 2008 and the Note on the Memorandum as a basis for substantive discussion leading towards positive, meaningful change in Tibet…». In this regard, INPaT decided to organise in 2011 an “international parliamentary event on the Sino-Tibetan dialogue process including suggestions on how to agree and implement the Memorandum”. The INPaT Bylakuppe statement was issued following a meeting of Second INPaT Working Group which was attended by 17 Parliamentarians from 13 countries. This morning 15 parliamentatrians addressed the celebration of the Tibetan Democracy Day in the presence of H. H. the Dalai Lama. Expressing her total support to the cause of Tibet, Ms. Santosh Vinita Kalyan of the Democratic Alliance Party of South Africa, informed the gathering of more than 20,000 Tibetans that she flatly refused China’s telephone-call asking her not to attend the Tibetan celebration. “We were honoured to represent INPaT Members as the Tibetan Refugee Community celebrated this morning and decided that it was crucial for us to speak out clearly by congratulating them and their leadership on the achievements of their democratic governance since we seldom acknowledge these kinds of best practices,” said Mr. Thomas Mann, Co-Chair of the INPaT Working Group and the President of the Tibet Inter Group in the European Parliament. In an unprecendented decision, INPaT called upon the Election Commission of the Tibetan Government in Exile “to invite international election monitoring entities to observe the 2011 parliamentary and Kalon Tripa elections.” INPaT Co-Chairs briefed His Holiness the Dalai Lama about the recommendation during a luncheon meeting today. As a follow-up, the Co-Chairs also held an informal exchange with Mr. Jampel Choesang, the Tibetan Election Commissioner. The Fifth World Parliamentarians Convention on Tibet (WPCT), held in Rome in November 2009, resolved to form a network of parliamentarians for Tibet (INPaT) to facilitate coordination among parliamentarians and parliamentary groups in order to effectively advance Tibet issues in a concerted manner. INPaT would like to congratulate the Government and people of India for hosting the Tibetan Refugee Community and its democratic institutions and for its continued support to preserve and promote their distinct identity and culture. 16. Calls on Governments to establish a Tibet focal point at the embassies in Beijing that would, among other responsibilities, be in charge of monitoring the implementation and progresses of development projects funded by them in Tibet. [i] www.savetibet.org/media-center/tibet-news/rome-declaration-tibet / The term Tibet covers the 3 provinces of U-Tsang, Kham and Amdo.